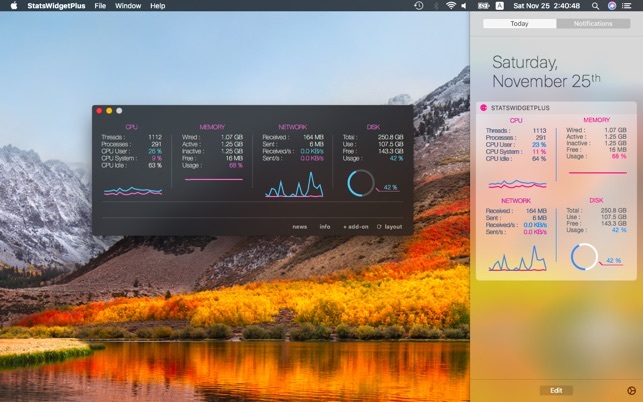 A beautiful system monitor for your Mac. 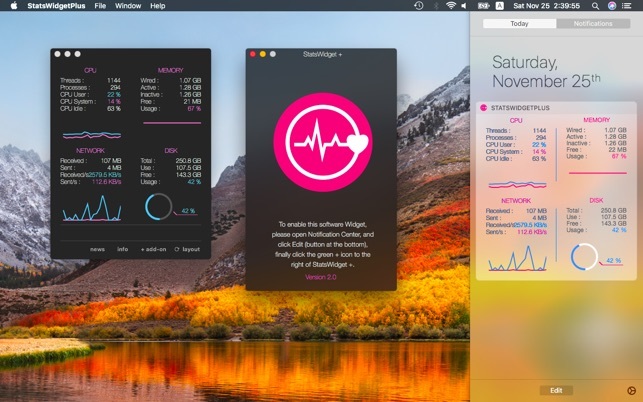 StatsWidget Plus is a compact way to keep an eye on your CPU, memory pressure, disk usage and network activity. 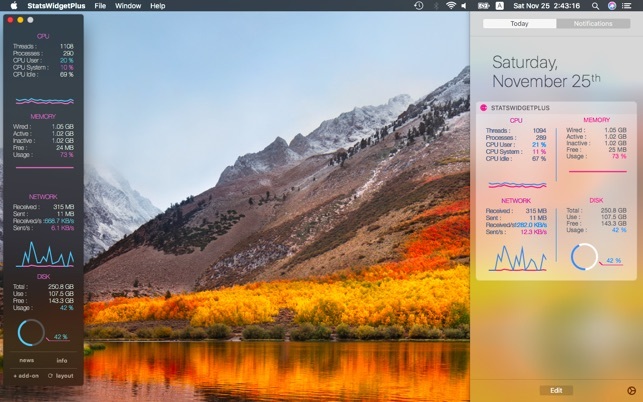 Simply slide out macOS High Sierra's Notification Center to glance at the stats, then slide it back again to free up your workspace. New Add-On "Vertical Layout Mode". 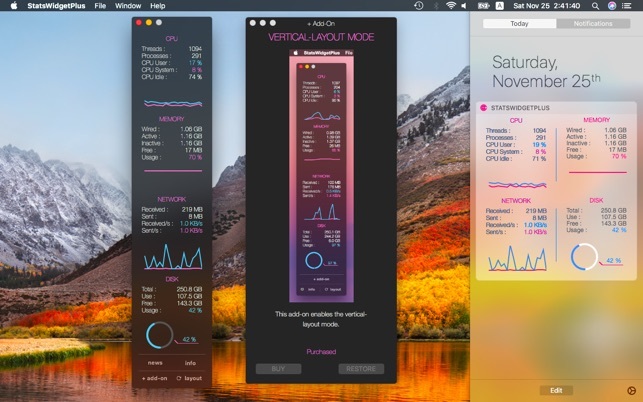 This add-on enables the vertical-layout mode. After purchased this add-on, you can choose vertical-layout mode. Follow us on Instagram and let us know what you want to see added to StatsWidget Plus. Updated for latest version of macOS High Sierra. © 2018 DEHIXLAB. All rights reserved.